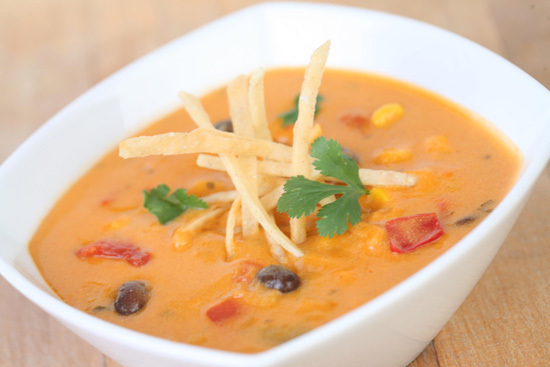 Cheesy Enchilada or Tortilla soup is always a favorite of mine and it's great any time of year. This recipe shared by the Disney Parks Blog is from the new Fiddler, Fifer & Practical Cafe located in Disney California Adventure. For additional recipes visit here.